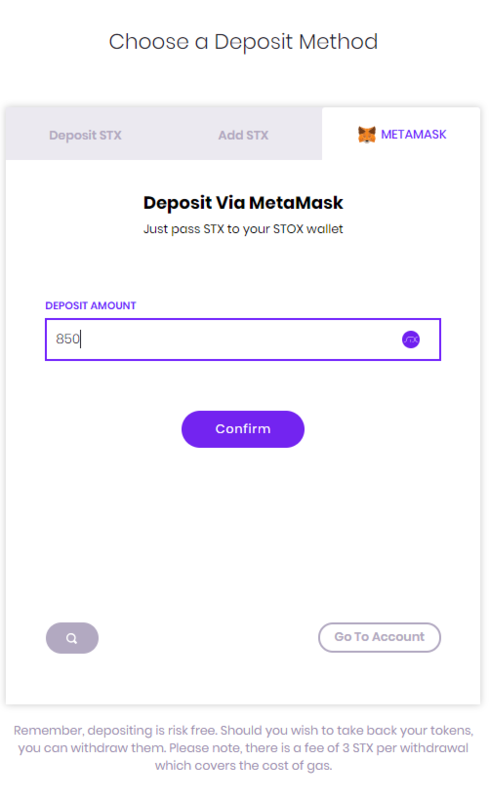 As part of the deposit process we now allow users with the MataMask extension on their browser to make a deposit into their Stox account more easily. These users can use their default wallet in MetaMask to deposit STX. When you reach the Deposit Page a new tab called 'Metamask' will appear. 4. In the MetaMask extension the amount field will already be populated with your deposit amount in STX. 5. Complete the transaction via MetaMask.